Kansas Department for Aging and Disability Services Acting Secretary Tim Keck previously served as Deputy Chief Counsel at the Kansas Department for Health and the Environment (KDHE) for four-and-a-half years. As a member of the leadership team there, he was instrumental in the development and implementation of KanCare and worked closely with KDHE Secretary Susan Mosier on a variety of issues impacting the aging and disability communities. He also worked as chief counsel for the office of Lt. Governor. 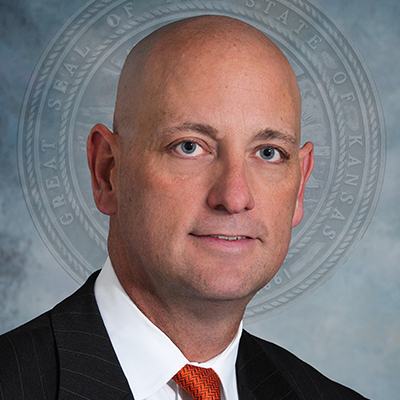 A native of Topeka, Mr. Keck has a Bachelor’s degree from Washburn University and received his Juris Doctor from Washburn University School of Law in 1991. He is a resident of Topeka.